Rapper 21 Savage has had hit after hit over the past year. His “Issa Album” has hovered at the top of the charts and he’s become one of the biggest successes to come out of 2017. With all that success comes plenty of splurges, and it looks like 21 Savage likes to splurge on his cars. He’s been posting several pictures on his Instagram of his various rides and he has made sure to let it be know they they are all in fact his. 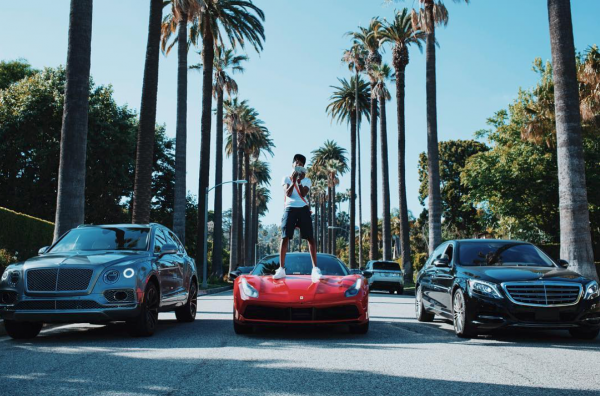 In one of his latest posts, he showed off his Bentley Bentayga, Ferrari 488 and a Maybach. Not bad for someone who just burst on this scene this year, or for even a veteran in the industry for that matter. We’ll definitely be keeping an eye on him to see what he adds to his lineup next! 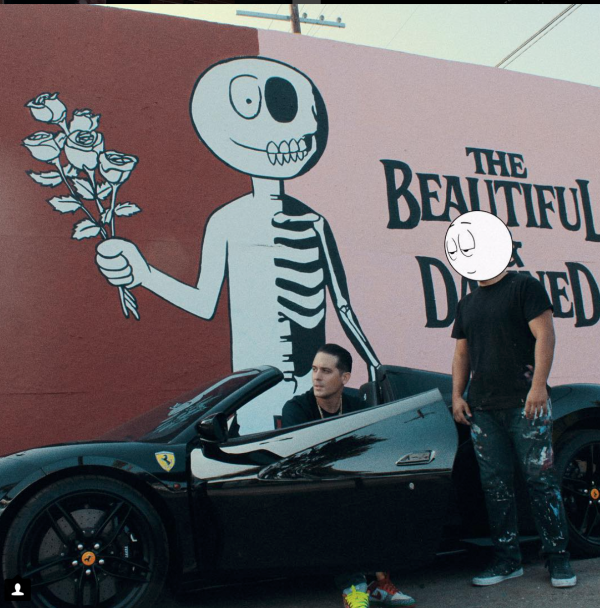 G-Eazy hit it big last year when he was featured on Britney Spears’ single “Make Me”, and things have only taken off from there. This year, he’s had several chart topping hits and has a new album coming out this year. What better way to treat yourself for accomplishments of that stature than to buy a Ferrari 488? He did just that and shared on Instagram that he told himself, once he turned the album in, he would buy it for himself. Not a bad way to motivate yourself! 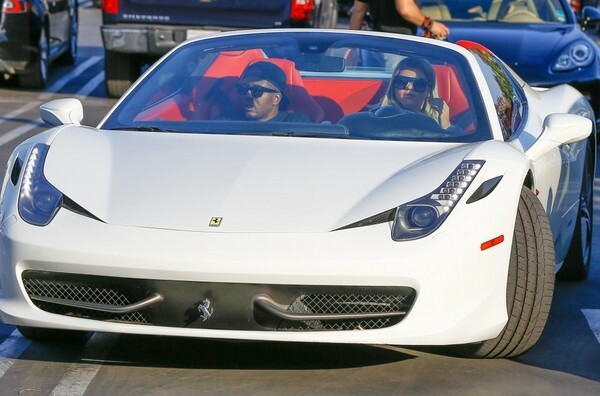 Heads up to any Beliebers who also happen to have an extra few hundred grand in the bank.. Justin’s selling his Ferrari! 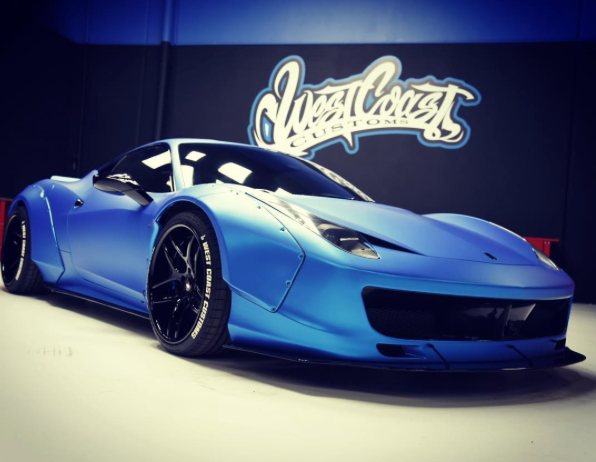 The Velocity channel recently shared on Instagram that Bieber will be auctioning off his custom 458 LIVE this week in Scottsdale. I haven’t seen Bieber driving anything new in a while now, so perhaps since he’s making some room in his lineup, he’ll fill it with something new? We’ll keep an eye out on that, but either way, I’m glad he’s getting rid of the Ferrari! I’m not exactly a fan of the whole Hot Wheels vibes that the car gives off. 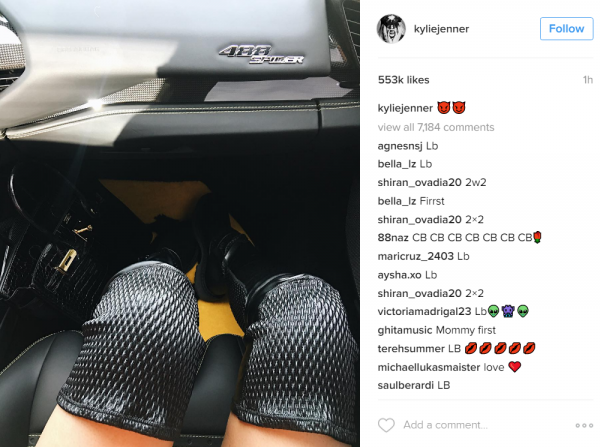 Seriously Kylie, a Ferrari is a driver’s car, not just another pair of boots or some other dumb accessory! “Model” Sofia Richie is essentially just a girl who’s guilty by association. Nicole Richie’s little sister, Lionel Richie’s daughter, Justin Bieber’s ex and Kylie Jenner’s friend are just some of the titles she holds. Regardless of how she’s making her way up the ladder, she’s certainly earning her keep because she was recently spotted toying around with a friend in a 458 Ferrari Spider. I’d love to know whether it’s really hers or if she borrowed it from her dad (or someone else) for the day but either way she looks great driving it.